Cthulhu is a mythical dark god from another dimension that every self-respecting nerd knows about. 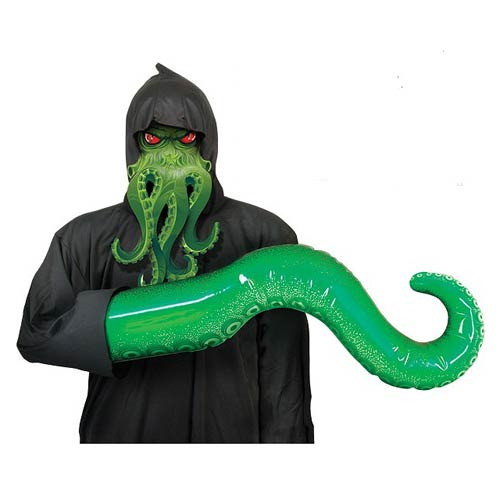 This 3-foot long vinyl Inflatable Cthulhu Arm fits snugly over your hand and lets you pretend you're slowly turning into this unspeakable horror from beyond space. It's also great for squid costumes and having tentacle fights with your pals! The Inflatable Cthulhu Arm is a must-have for any and all H.P. Lovecraft fans. Recommended for ages 15 and up. This is not a toy.